Elizabeth Wilkinson is a Nashville native and life-long mover who loves to share her passion for healthy living with others. Elizabeth first discovered Pilates at a young age as a student at The Nashville Ballet, when her teachers began incorporating Pilates into her ballet classes. She continued her study of Pilates throughout college and her career as a professional dancer. Elizabeth moved to New York City in 2004, where she began studying Gyrotonic and completed her teacher training at Studio Riverside. Elizabeth was certified in Classical Pilates through Center for Movement in New York, and received a second certification at The Lab Fitness in Brooklyn, where she learned a more contemporary approach. She is also certified in Thai Yoga Bodywork through the New York Open Center. For the last twelve years, Elizabeth has developed her own unique teaching style, drawing from her diverse movement background. She has taught thousands of clients at some of the top studios in New York and Los Angeles, including Soho Sanctuary, Equinox, and The Moving Joint. Elizabeth is thrilled to return to her hometown to offer high-quality Pilates and Gyrotonic training to the Nashville community! Daniella trained as a classical ballet dancer in the San Francisco Bay Area and with Boston Ballet School. Daniella’s first exposure to Pilates was to supplement her ballet training at the age of fourteen. She saw an immediate improvement in her alignment, strength, and flexibility, and continued to cross-train with Pilates throughout her training and professional career. She is currently with the Nashville Ballet and has previously danced for Ballet Austin, BalletMet Ohio, Company C Contemporary Ballet, Oakland Ballet, and Motion Dance Theatre in Asheville. Wanting to learn more about the practice and share it with others, she received Balanced Body’s Comprehensive Certification in 2010 with Erin Weston-Myers and Jennifer McNamara in Nashville. Since then, she’s had the opportunity to work with a wide-array of individuals, from those with little to no experience, to various injuries, to athletes and dancers. She strives to have each of her students leave her class with a sense of accomplishment, acceptance, body awareness, and well-being. She is thrilled to be working, learning, and sharing her experience and passion at Well Body Pilates! Shae Bryant is an enthusiastic Movement Specialist and Wellness Consultant who guides private clients and groups in living a Lifestyle of Wellness - integrating physical, mental, emotional and spiritual health into daily living. Her favorite healing modalities include Yoga, Pilates, Massage, Meditation, Eating Whole Foods, and Living Limitless Joy. Trained in many different traditions of yoga, her personal practice is the authentic method of Ashtanga Vinyasa Yoga and having traveled to Mysore, India 5 times, she is the only Authorized Teacher of this style in the state of Tennessee. Her Pilates journey began with her studies with the Nashville and Louisville Ballets and she then completed a 2 year apprenticeship in 2004 to teach the Pilates Method for both Matwork and Apparatus. Since then she has assisted thousands of students in reducing pain, increasing strength and flexibility, and living a healthy, empowered life. Shae is a mentor, healer, accountability buddy, teacher, friend, and fellow Wellness Warrior on the path to integration, wholeness, and awakened living! Taylor discovered Pilates at a very young age and 15 years later is still practicing the method. Taylor's certifications includes Stott Pilates Mat, 500+ hour Pilates Apparatus, Protocols of Osteoporosis, Muscle Imbalance Assessment and Correction, Nutrition, and Gait Analysis through Erika Bloom Pilates. She is trained in Pre and Postnatal and injury prevention and rehabilitation as well as sports conditioning. Taylor has traveled all over the country working with many athletes, dancers, and celebrities, as well as those young, old, injured and healthy. She is thrilled to be able to bring her teaching to the clients of Nashville. Mary Elizabeth Pellett is a classically trained dancer who has studied and danced with The Joffrey Ballet in Chicago, Illinois; the Kirov Academy in Washington D.C.; Metro Park’s Centennial Youth Ballet in Nashville, Tennessee; and with John Magnus and the Portland Festival Ballet, in Portland, Oregon. Additionally, Mary has worked in Dublin, Ireland with the country's premiere contemporary dance company, CoisCeim Dance Theatre. To supplement her dancing and build strength, Mary began her Pilates practice at 16. A few years later she completed a 600 hour Pilates certification and has taught clients of all ages and movement backgrounds in group and private classes ever since. Her love for movement of all kinds, and her belief in the importance of having a strong, healthy body is what motivates Mary to help others in their Pilates practice. Hannah is passionate about all things health and wellness and treatment for true healing. She spent most of her life in the fields of rural Arkansas horse back riding, hiking, canoeing, rock climbing, etc. She moved to Nashville for music and spent years in search of treatments and movement activities that would give her the rebalancing she needed from the immobilities and degeneration of the road and urban life. She first discovered Pilates on tour and quickly realized she had found what she had been looking for. She got off the road to develop a new album and immediately dove in and completed her certification with Elizabeth Wilkinson at Well Body Pilates. She believes strongly in Pilates because of its ability to prevent pain, and efficiently heal and help literally anyone live an effervescent life at any age. 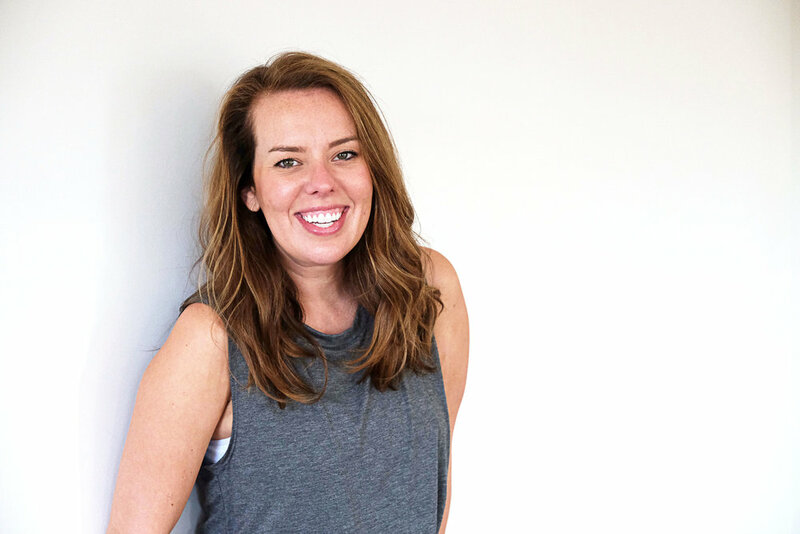 From improving athletic development to realigning posture to recovering from an injury, Hannah is honored to bring her upbeat and nurturing nature to assist her clients' journeys in the venture of whole body health.